Major Vince Lombard, Galactic Marine Corps (Ret.) is a professional gambler, slowly working his way back to Earth, once gambling station at a time, when he finds himself at the center of brewing storm. Someone has taken an interest in an old Earth legend, but for what purpose, no one seems to know, exactly. The fate of the Fey has always been tied to the fate of humanity, but they have been content to stay in the background for ages, without worry that human-kind is destined to continue on into the foreseeable future. Humanity has forgotten their very existence, as well as their role in the destiny of both races. A decorated war-hero, Vince finds himself at the center of a brewing storm, as humans and aliens alike begin to see the potential uses a fairy can be put to. It’s not just that everybody wants one. Everybody wants THIS one, and it won’t be easy to find a path through the problems ahead, keeping his new Fey friend out of the hands of the government, and the aliens, alike. But an old veteran like Vince has a few tricks up his sleeve, still. Could that be why the fairy came to him? Fairies are capable of things that humans have no explanation for. But they can’t do everything, and sometimes, even a fairy needs a hand. Who better than a Galactic Marine to help, when some good old human ingenuity is called for? Maybe Vince has found a friend for life, in his Fey companion. If he can save her life, that is. 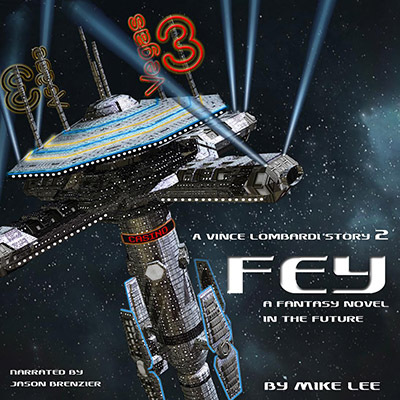 “Fey” is a sometimes-whimsical, fun, and light fantasy/sci-fi adventure story. Available at Audible.com, iTunes, and Amazon. Click below to get Jason’s free PDF on how to choose the perfect narrator!